Note: This article has been published in the New Dawn Magazine, Issue 172. Recently, on Oct 1, 2018, the BBC ran a story about the discovery of hundreds of petroglyphs i.e. rock carvings in the Ratnagiri and Rajapur area of the state of Maharashtra in western India. Many of these petroglyphs are very large, which have been etched on the rocky, flat hilltops. “Our first deduction from examining these petroglyphs is that they were created around 10,000BC,” the director of the Maharashtra state archaeology department, Tejas Garge, told the BBC. This puts the date of creation of these images at the very dawn of civilization, when humanity emerged from the cataclysms of the Younger Dryas Period and the end of the last Ice Age. While some of the petroglyphs were known to the locals and regarded as holy, most of them were hidden beneath layers of mud and soil deposited during the intervening millenia. They were discovered due to the diligent efforts of a group of explorers led by Sudhir Risbood and Manoj Marathe, who began searching for the images in earnest after observing a few in the area. When I looked at these pictures, I was astonished to find 3 images which depict sacred symbols of global importance, which have been found in the art and culture of many subsequent civilizations. This large petroglyph depicts what appears to be the Winged Scarab, a symbol that was very popular in ancient Egypt and symbolized creation and rebirth. The symbol appears on Egyptian tomb paintings, carvings, and manuscripts. Miniature scarabs carved from stone or moulded from faience were worn as amulets and jewelry, and used as impression seals. 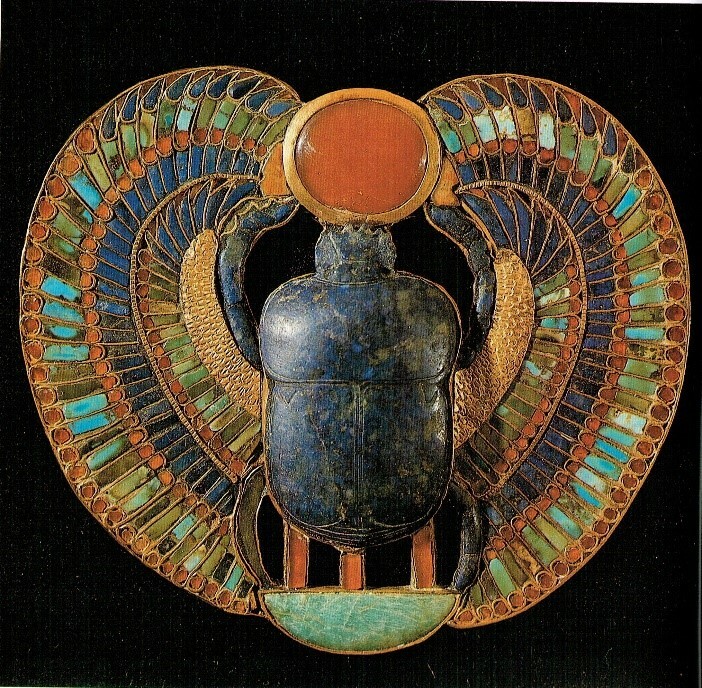 Figure 3: Winged Scarab on the breastplate of Tutankhamun, Egyptian Museum, Cairo. The Egyptians called the scarab beetle Khepri (“He who has come into being”) and worshiped it as the “dawn sun”. There is a story of how the goddess Isis tricked the sun-god Ra into revealing his many names: Khepri (dawn sun), Ra (mid-day sun) and Atum (evening sun). Just as the scarab beetle pushes or rolls a ball of dung across the earth, Khepri pushed the sun across the sky every day. The ancient Egyptians believed that Khepri renewed the sun every day before rolling it above the horizon, then carried it through the other world after sunset, only to renew it, again, the next day. This reinforced the scarab’s association with creation and rebirth. The visual similarity between the petroglyph discovered in India, and the Egyptian symbol of the Winged Scarab or Khepri is quite striking. Although the “sun-disk” being pushed by the scarab is not very clear in this image, it can be easily made out from the aerial view shown below. It boggles the mind to think that the Winged Scarab symbol, which was so popular in ancient Egypt, has been existence since the very beginning of the post-glacial epoch. Did the symbol have its origin in ancient India? Or does it reflect the esoteric knowledge of an erstwhile “Golden Age” civilization that perished during the cataclysms of the Younger Dryas epoch (10,900 BCE – 9700 BCE) when our planet was struck by multiple fragments of a giant comet? It is now well known that Younger Dryas comet impact initiated a vicious cold snap, accompanied by fires, floods, and black rain, which brought about the extinction of a large number of North American megafauna and a prehistoric culture. In 9703 BCE, the cold snap ended as abruptly as it had started, for reasons not clearly understood. The sudden transition out of the Ice Age to a warm interglacial climate may have precipitated a global flood of mythic proportions, which is recounted in the flood legends of many ancient cultures. 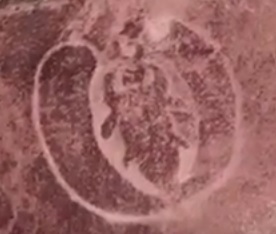 Figure 5: 12,000-year old petroglyphs of India depict the Egyptian Winged Scarab. Another exquisite petroglyph discovered at the Indian site depicts a man who appears to be holding two animals by their hind legs. This is a symbolic motif in ancient art that is commonly referred to by scholars as the “Master of Animals” or “Lord of Animals”. The Master of Animals is a deity entity or heroic figure who is the ruler of the forest and master of all animals. The figure can be male or female (in which case she is called Mistress of Animals), and is generally shown grasping two wild animal with both hands. Figure 6: Petroglyph in Maharashtra depicting the Master of Animals. The symbolic representation of a person holding a pair of animals by their hind legs or tails, was widespread in the Near East and Egypt. One of the earliest representations can be seen on the Gebel el-Arak Knife dating from the Naqada II period of Egyptian prehistory, which began c.3450 BCE. The “Mistress of Animals” motif appears in Archaic Greek and Etruscan artworks in metal, ivory, pottery and jewelry from the 8th century BCE. Another Ratnagiri petroglyph shows the Master of Animals grappling with two large animals, possibly tigers, which is reminiscent of an imagery depicted on a number of Indus Valley seals from c.2600 BCE. 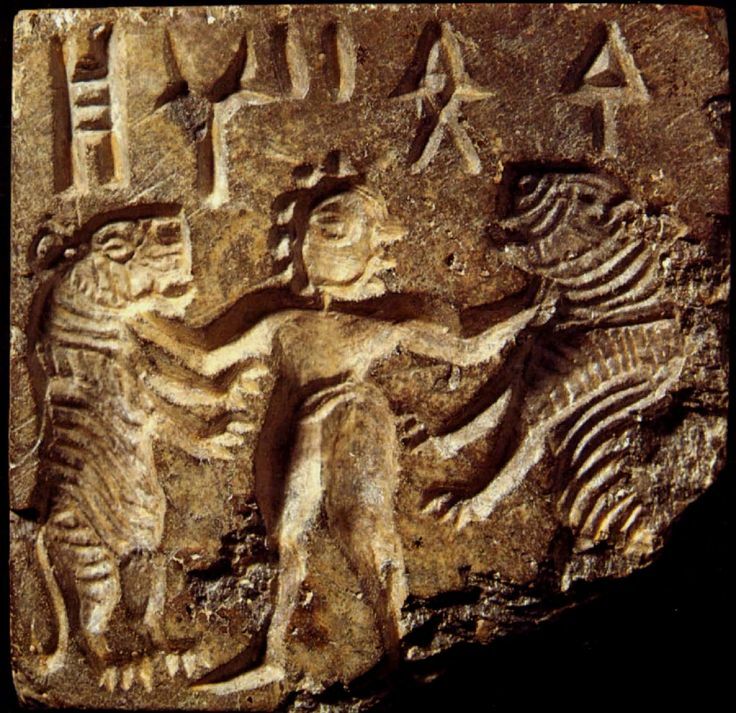 Figure 9: Ratnagiri Petroglyph showing a figure lifting up a pair of tigers. Source: bbc.com. 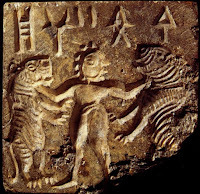 Figure 10: Mohenjo-Daro seal depicting a man grappling with two tigers. Source: harappa.com. The different depictions of the Master of Animals symbol seem to exude a sense of enormous physical strength and courage. 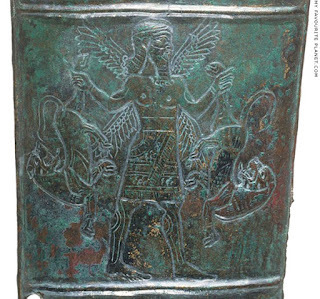 Perhaps, this was an ancient icon of superhuman strength, used in the context of gods, heroes, or kings? Surely, this could not have been the work of primitive hunter-gatherers, as the researchers in the study have speculated. The depiction of this motif on 12,000-year-old Indian petroglyphs indicates that the symbol had its origin in remote antiquity, and was used by an Ice Age civilization to represent its heroes. Did the people of this time really have such immense physical strength, so as to subdue two large wild animals with their bare hands? If so, it would lend credence to the assertions of our ancestors that human beings have reduced in stature and have become weaker, as we have devolved from the Golden Age to our current age of discord and strife known as the Kali Yuga (or Iron Age) in the ancient Hindu texts. Fig 11: 12,000-year old petroglyphs of India depict the Master of Animals. 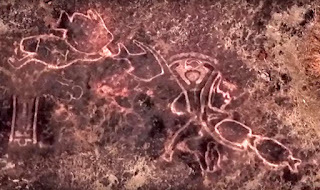 Another intriguing petroglyph discovered at Ratnagiri depicts a pair of fish facing opposite directions, connected by some kind of a strap. This symbol has been used for thousands of years to depict the Pisces constellation. 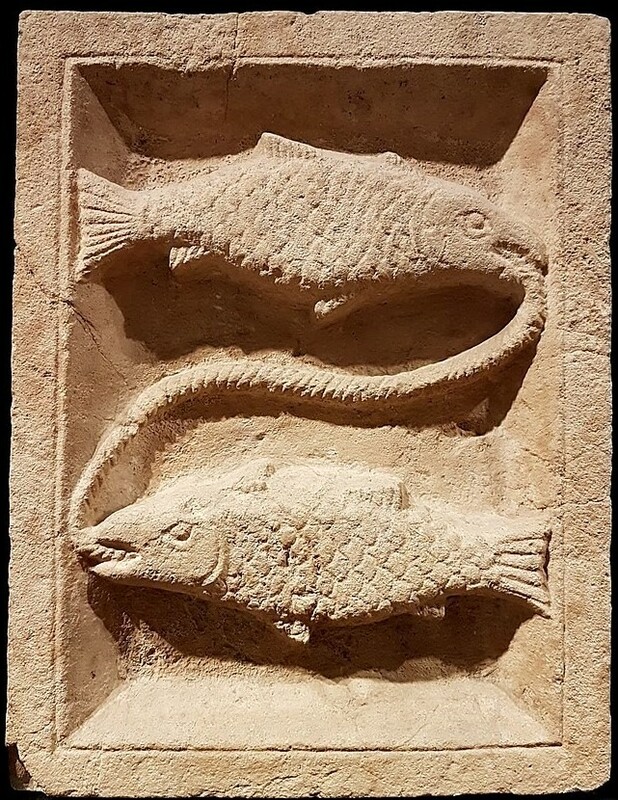 The Pisces astrological symbol consists of a pair of fish swimming in opposite directions, with a chord connecting the two fishes so that they remain together. 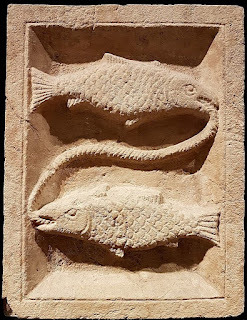 Figure 13: Roman era relief carving of Pisces symbol. Credit: Kleon3 CC BY-SA 4.0 . As per current wisdom, the earliest representation of the zodiac sign of Pisces appears on an Egyptian coffin lid from c. 2300 BCE. It is also believed that knowledge of the zodiac signs and astrological predictions began sometime during the Bronze Age in Mesopotamia. However, the discovery of this petroglyph changes all of that. It pushes back the date for the origin of astrological symbols to the period around 10,000 BCE or earlier, and raises the very real possibility that our astrological knowledge is a legacy of a lost civilization that flourished during the Ice Age. Figure 14: Ratnagiri Petroglyph depicting the astrological symbol of Pisces. The discovery of the Pisces symbol made me wonder if any of the other petroglyphs of the Ratnagiri area depict other signs of the zodiac. And, quite fortuitously, I noticed another petroglyph that resembles the astrological symbol for the Aquarius constellation. This petroglyph shows a man holding an object above his head with both hands, looking similar to Aquarius, the Water Bearer, who pours out a stream of water from a Water Jar held above the head (or on the shoulder). Aquarius is located in a region of the sky called the Sea, and early stargazers associated the star patterns here with fishes swimming in the celestial Sea. To the right of the person (i.e. 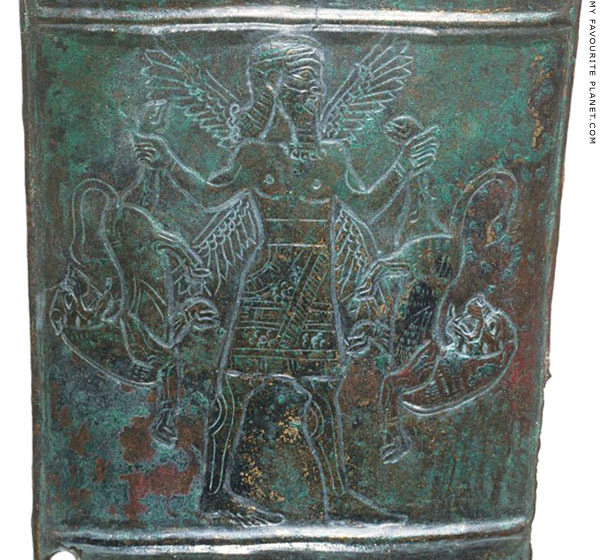 on the left side of the image) we see a pair of fish, which have been depicted at the exact position occupied by the zodiac sign of Pisces the Fish. Another pair of fish has been depicted near the left leg of the person, corresponding to the position of the constellation Piscis Austrinus, the Southern Fish. Fig 16: Ratnagiri Petroglyph depicting the astrological symbol of Pisces. Hence, what we seem to have here is possibly an astonishing sky chart etched on the ground, depicting the constellations of Aquarius the Water Bearer, bounded by Pisces the Fish and Piscis Austrinus the Southern Fish. While there may be additional petroglyphs in the Ratnagiri area that depict the other signs of the zodiac, it is a curious coincidence that the first two constellations that caught my eyes were those of Pisces the Fish and Aquarius the Water Bearer. As per the doctrine of the Astrological Ages, we are currently in the Age of Pisces, and about to transition into the Age of Aquarius, sometime in the near future. 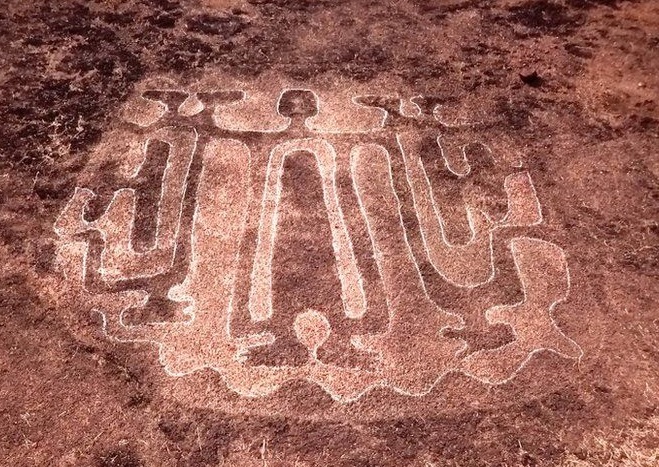 Perhaps, these 12,000-year-old petroglyphs are giving us a timely reminder of this very important upcoming transition into an Age where wisdom and intuitive understanding will blossom once again in the minds of men. The very fact that the petroglyphs of Ratnagiri have been dated to c.10,000 BCE, when humanity had just emerged from the terrible devastation of the Younger Dryas epoch, suggests that these symbols may not have been “devised” by the people who carved them. Rather, they might encapsulate the esoteric wisdom of a “Golden Age” civilization that flourished during the Ice Age, and which perished during the Younger Dryas cataclysms. 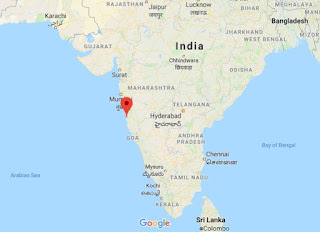 The survivors of this “Lost Civilization” would have settled at many places around the globe, and one of the settlement zones was the Konkan coast of India. Having witnessed their erstwhile civilization being reduced to rubble, the survivors may have refrained from building large monuments. 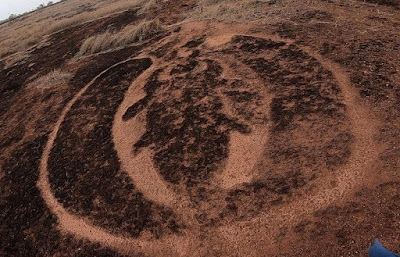 Instead, they etched their sacred symbols on the hard, rocky landscape, which could have transformed into open-air altars. 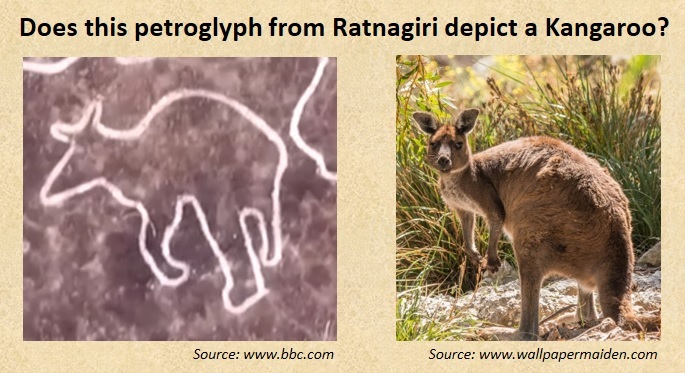 One of the mysteries of the Ratnagiri petroglyphs, which the BBC report has pointed out, is that they show animals such as the hippopotamus which is indigenous to Africa. I noticed that there is at least one petroglyph that looks like a kangaroo! It is well known that the kangaroo is indigenous to Australia, and are not found anywhere else. Fig 17: Ratnagiri Petroglyph depicting a kangaroo. This begs the question as to how the people living here depicted animals that are not indigenous to India. Did these people have oceanic contacts with Africa and Australia? Could it be that the hippo and the kangaroo were found in India 12,000 years ago? Or could there be some other explanation for this anomaly? It is at times like these that we should pay more attention to the legends of our ancestors. Tamil traditions tell us of an antediluvian island-continent called Kumari Kandam that once existed in the Indian Ocean. However, at the end of the Golden Age, Kumari Kandam was “swallowed by the sea”, and large tracts of the island-continent were lost to the ocean. N.Mahalingam, the Chairman of the International Association of Tamil Studies, has dated this inundation to c.9564 BCE. This is very close to the end of the Younger Dryas epoch which ravaged our planet for an extended period from 10,900 BCE – 9600 BCE. Perhaps, the ecosphere of Kumari Kandam supported animals such as hippos and kangaroos, and when the island-continent sank under the ocean, some of its inhabitants settled on the western coast of India and etched their memories of their erstwhile homeland on these flat, rocky hill tops? Overall, these ancient petroglyphs have the potential of completely overturning the current beliefs regarding the origins of civilization. There are hundreds of petroglyphs in the Ratnagiri area which depict animal and human figures, as well as complex geometric forms, which could help us unlock the mysteries of humanity's past. Earlier in 2002, nearly 60 petroglyphs were discovered in the Sindhudurg district of Maharashtra in the Konkan (coastal) region, which were tentatively dated to between 7000 BCE – 4000 BCE. One of the images found here resembles the “Imperial Eagle” symbol which has served as an insignia of royalty and has been displayed on the Coat of Arms of many nations throughout history. Figure 18: Sindhudurg Petroglyph depicting the Imperial Eagle symbol. Another petroglyph in Sindhudurg depicts a man standing with a staff in either hand, resembling the Staff God of the Andean cultures. The Andean Staff God is generally pictured holding a staff in each hand, with fanged teeth, having snakes in his headdress or integrated into his garments. The Incans identified the Staff God with Viracocha, their supreme god. He was the father of all other Inca gods and it was he who formed the earth, heavens, sun, moon, and all living beings. According to legends, Viracocha travelled far and wide, bringing the arts of civilization to humanity. After his work was done, he headed west across the Pacific on a raft, promising to return one day to the Inca. The oldest known depiction of the Andean Staff God was found in 2003 on some broken gourd fragments dated to c.2250 BCE, which means that this Sindhudurg petroglyph predates the earliest known depiction of the Staff God by thousands of years. Evidently, the petroglyphs of the Konkan region of Maharashtra, stretching from Ratnagiri in the north to Sindhudurg in the south, contain some of the earliest depictions of the sacred symbols used by cultures across the world. This pushes back the date for the beginnings of astrological lore and sacred symbolisms to that remote period around c.10,000 BCE, when humanity had just emerged from the terrible cataclysms of the Younger Dryas epoch. 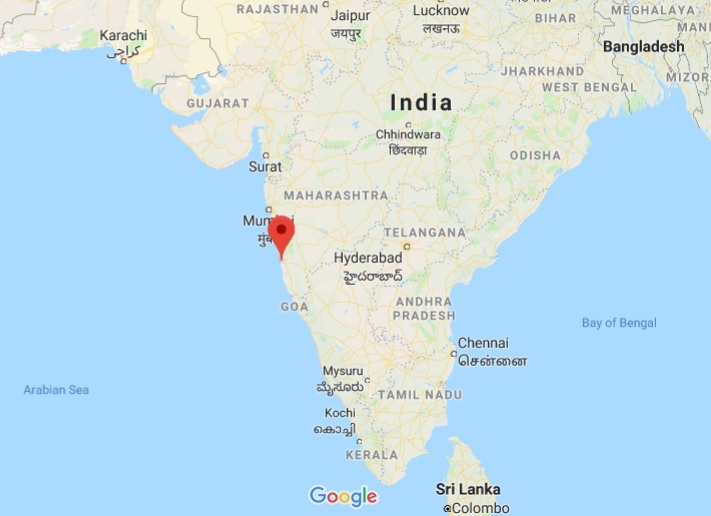 This raises the very real possibility that the Konkan belt may have been a place where survivors of an advanced Ice-Age civilization had settled, who decided to etch their sacred wisdom on the rocky landscapes so that it may get transmitted through the generations. It needs to be ascertained if these people had oceanic contacts with Africa and Australia, or if there could be some other reason for the petroglyphs resembling hippos and kangaroos. Due to the far-reaching implications of these symbols, the dating of the petroglyphs to the period around 10,000 BCE is bound to come under scrutiny. More evidence needs to be collected using different scientific techniques such as radiocarbon dating, thermoluminescence etc. to ascertain the period of carving more precisely. The petroglyphs of the Konkan coast have been discovered over the past couple of decades, and they have always been recognized as being extremely old, predating most of the known ancient civilizations of antiquity. This analysis is based on a small sample of petroglyph images contained in the BBC report and a video on the BBC News Marathi TV Channel. Hundreds of petroglyphs have been found till now in the Ratnagiri and Rajapur area, which need to studied in detail with a view to identifying correlations with sacred symbols across various ancient cultures. There is no doubt that this is an extremely significant discovery which can fundamentally alter our current perceptions about the origins of sacred symbols and astrological lore..
 Graham Hancock, “Underworld – the Mysterious Origins of Civilization”, Three Rivers Press, 2002. My pleasure...thanks for leaving a comment. Wonderful article, as always. But a clarification on the Kangaroo petroglyph. Are not Kangaroos in Australia standing upright in current stage of their evolution, while the petroglyph the animal appears running on four legs. Perhaps these are deers, or an earlier stage of Kangaroo? Thank you. The petroglyph animal seems to have forelegs that are a fair bit shorter than its hind legs, and looks quite similar to a kangaroo in a running posture. I think it could just be a kangaroo in its present state of evolution. Hi, I am planning to visit ratnRatna and Rajapur region in January. Can you get the names of the places where I can get to see these petroglyphs. The petroglyphs are scattered over a number of very remote villages. The best bet might be to go to the Ratnagiri Tourism office (government) and ask them for directions and /or guides. This was from Bharath again. Thanks. Can you please share your view on how the dating of 10,000 BCE ties in with our Indian history vis-a-vis time periods of Lord Rama and Lord Krishna. It appears from relevant articles (including those from you as well) that Lord Krishna lived around 3200 BCE - 3100 BCE timeframe approx. Will the petroglyph findings negate or add credibility to our legends and conception of how civilization began? Thank you. As per the Yuga Cycle timeline I had proposed in an earlier article, Lord Krishna lived around 3900 - 3700 BCE, while Lord Rama's rule was from 7000 - 6800 BCE approx. Both of them lived during the periods of transition between the yugas. 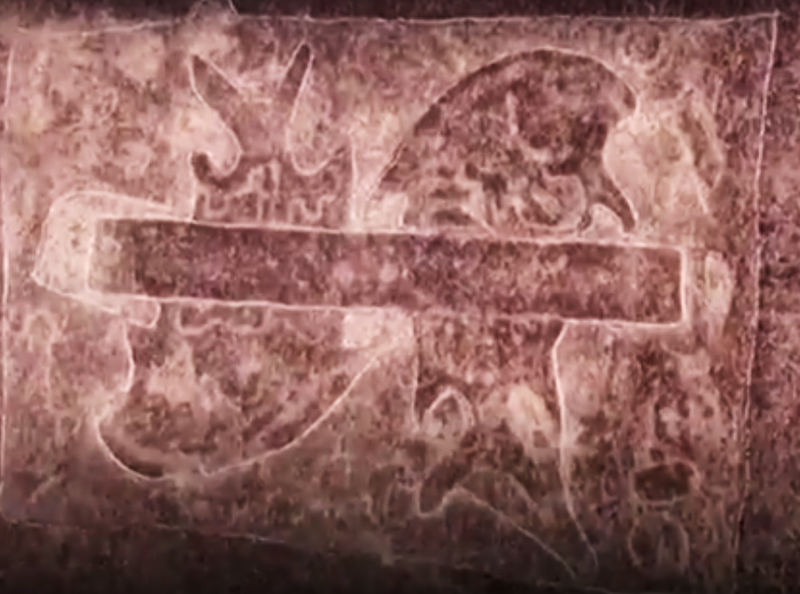 The discovery of these petroglyphs predates both of them, and points us to a time period when the Satya Yuga had just ended due to a global deluge, and the Treta yuga had begun. It shows the many of the sacred symbols used by our ancestors had their beginnings in a remote period during the Ice Age, when an advanced civilization had flourished. This definitely adds a lot more credibility to the ancient legends, not only those of India, but of many other civilizations, who have always stressed that their knowledge and wisdom was handed down by the survivors of an erstwhile Golden age. For the past 12000 years our civilization has been devolving and we are now reaching the nadir. Dear Bibhu, Thanks for your thoughts. A legend in Tamil Nadu claims all creation started in temple town of Kumbakonam. Lord Shiva in His 'Kiraata' Hunter form initiated creation by firing an arrow at a Kumbaa (Pot) containing needed 'shrishtibeej' i.e. seeds, DNA materials presumably. Thanks. Thanks for sharing that story. The beginning of creation, however, is different from the periodic civilizational resets during the Yuga transitions. I think the creation stories have great cosmic truths hidden within them that need to be unearthed. Incredible ! To find that these symbols are so old ! Timeless and bound to our unconscious .. The fact that we can decode their meaning at a single glance is huge! It hints that perhaps true knowledge was never lost, only hidden from view. "Amen"
Yes, its fascinating to realize that the origins of our ancient symbols and wisdom extends back to the Ice Age and beyond. According to the ancients, humanity has passed through many cycles of yugas or world ages. This suggests that current thinking about evolution and the origins of civilization may be in for a serious overhaul in future. I do not think, however, that we have been able to successfully decode the meanings that the ancients had encoded into these symbols...there could be layers of meanings and much more thought needs to go into it. Incredible, giving wonderful information , Thankq for the efforts of bringing in new knowkedge. Thanks for leaving your comment. Why do you think this has been etched on the Konkan coast? Kangaroos are often depicted in the prone position in rock paintings in Australia. It is my theory that the inhabitants of The Kimberley migrated to Southern India at the height of the Younger Dryas as the monsoons stopped and the area was not habitable. Later as the conditions improved and the monsoons returned they voyaged back to The Kimberley. That is a possibility...ancient people got around a lot more than we have been told, and migrations and cross-cultural interactions happened quite regularly. Thanks for sharing your thoughts. A calendar that maps both ancient events per religions along with scientific events will help gain clarity and integrate or debunk these two seemingly-separate parallel evolutionary railway tracks - one from puraanas mythology and other from scientific discoveries. I agree, and the Yuga Cycle timeline that I had proposed in my article on the Kali Yuga attempted to do the very same thing - to align scientific and archeological discoveries with the Cycle of the Ages as described in the ancient doctrines. This is amazing! 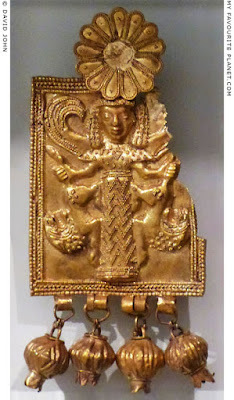 I hope more is found and we get a better understanding of the ancient golden age, I just love this type of stuff. Thanks for leaving your feedback. Great to know you found it interesting. How fascinating! The 'Master of Hunters' petroglyph is especially interesting-- My very first thought was the animals depicted were stylized kangaroos! The nose and ears were especially telling. Also, from a quick check, there seems to be some similarity between the styles of this petroglyph and some examples of Australian aboriginal art (petroglyphs). Perhaps a migrating coastal community? And from a pure art standpoint I think the negative reverse used on some pieces in outstanding. Thanks for leaving your comment. Its interesting to know that there are similarities with Aboriginal art...that, along with the possible kangaroo connections, suggests an oceanic contact at around 10,000 BCE! Ancient man seemed to have used the oceans as a superhighway for cultural communication far longer than has been supposed till now. More and more proof that the information apocalypse IS here!!! Yes it is already here, and gain much more strength over the next few years. Dear Bibhu Dev Misra ji All articles you have posted are unique and fascinating. Thanks. Thank you...very pleased to have your feedback.